Passport Agent | Online Passport Apply | Apply New & Renew Passport | Trusted and Verified. For child fresh passport and renew/re-issue passport and should have the following documents. Aadhar Card is being corrected/Newly Enrolled at Banks/Post Offices. Contact to your Bank. 8. Rent Agreement of Parent (If staying on Rent). 9. Any One Property Document of Parent (If the Home is own). 1. We Understand Your Correct Requirement. 2. Advice for Correct and Accurate Documentation. 3. Collection and Arranging the Documents Required for Process. 4. On Line Application Filling for Passport Apply. 5. On Line Payment for Passort Fees. 6. 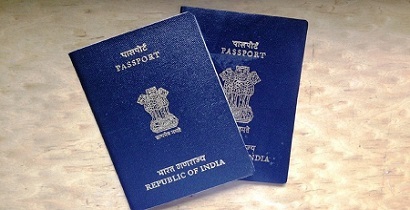 To provide Appointment for Passport as per your requirement. 7. Documentation and Paper Work like Making of Annexures/Affidavits Required. 8. Help to Approach the Passport Authority in Full Preparation for Verification and Biometrics. Send your documents by Whatspp on 9015-698-698 or email at enquiry@agent365days.com. We will first analyse the documents and intimate that whether you are eligibile or any further document is required. We will fill the application on line and take your approval. When you pay fees to us on line, we submit and move further. Note : We Will Only Help in Preparing the Documents and Will Never Promise for Issue of Passport as it will be the sole discretion of Passport Authority to Issue or Reissue the Passport. Khanna Associates, Tours and Travels Pvt Ltd.